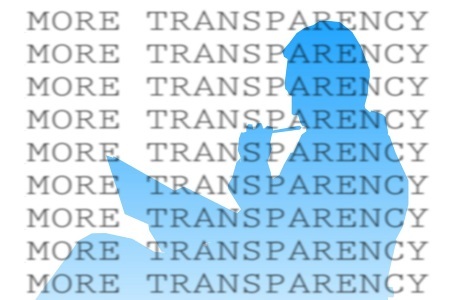 Johnson and Johnson recently revealed plans to systematically make its medical device and diagnostic test clinical trial data available to the public, making it the first large medical device manufacturer to undertake this level of transparency. The healthcare giant will work with Yale University’s Open Data Access program. As medical devices, diagnostics, and drugs are prepared for the market, they are often tested by developers in a clinical setting to ensure that they perform as intended. Historically, companies maintained the data they collected in these trials as confidential, and results were not disclosed. In recent years, however, an environment has developed that encourages industry to share data that they would normally keep as proprietary information. This type of transparency would be particularly helpful if a manufacturer had performed a trial that led to negative results, as it could help other researchers avoid mistakes that were already made. To help reduce the unnecessary duplication of clinical trials, J&J recently declared that it will make detailed clinical trial data publically available, according to a recent article in the New York Times (NYT). The company plans to reveal the results of testing related to its medical device and diagnostic portfolios in collaboration with the Yale Open Data Access (YODA) Project. Another large medical device company, Medtronic, has allowed YODA access to their data, but it is confined to individual products. J&J, on the other hand, is the first to release their data across the board. Many manufacturers cite concerns that releasing data will reveal trade secrets and information confidential to patients, but this is not the first time J&J has taken the initiative. Last year, J&J began their clinical trial sharing program with data from their pharmaceutical trials, according to an article from Yale News. The YODA Project provides an independent scientific review of the requests for the data as it is assimilated. Additionally, YODA controls all decision-making authority about releasing the data. Released on the same day as the J&J statement was a call to manufacturers from the Institute of Medicine (IOM) of the National Academy of Sciences. The IOM recommended that data be shared within 30 days of a product’s approval, according to the NYT. Alternatively, data could be shared up to 18 months after a study is finished. The IOM is not the only agency calling for clinical trial transparency. Recently, the U.S. Department of Health and Human Services issued a notice of proposed rulemaking related to clinical trials. Their intent is to have every clinical trial subject to Title VIII of the FDA Amendments Act of 2007, making it publicly available on clinicaltrials.gov.